As the Islamic lunar month of Ramadan comes to a close this week, I would like to take some time to pause and reflect on the lessons I have learned this month. 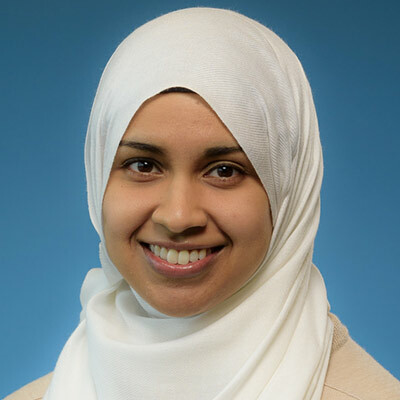 It is my hope that my insights can serve as an opening for others as well, Muslim or not. Ramadan is believed by Muslims to be a month of infinite blessings, or barakah in Arabic. It was during this month that the Prophet Muhammed (peace be upon him) received the first verses of the Holy Qur’an from God via the Angel Gabriel. For this reason, Ramadan is a time when Muslims are encouraged to come back to the Qur’an – the Word of God – and thus ultimately, deepen our relationship with our Lord. While I try to read a small portion of the Qur’an every day I am able to, it is only during the month of Ramadan that I somehow miraculously find the time to complete a full reading. To put this in perspective, it can take anywhere between a few months or even a year (or two!) outside of Ramadan to achieve this feat. This month, to help reconnect with God, I reduced the amount of distractions in my life – i.e. watching TV, listening to music, idling away on my phone, etc. In their stead, I devoted this opened-up time to reading more Islamic books, trying to be more mindful and deliberate in my prayers, and listening to Islamic lectures and talks, in addition to reading the Qur’an. For the first week or so, as it happens each year, my feed was flooded with videos on how to maximize the benefits of Ramadan. With such a glut of advice, it was (and is!) overwhelming to think about all the things I should be doing. Over the years, I have found simplicity and sustainability to be the most effective approach to tackle any goal. It applies just as much during Ramadan as any other time. One video in particular gave me a sense of hope. It was, not coincidentally, by one of my favorite teachers, Ustadh Ubaydullah Evans. He was essentially asked: What is the most important thing Muslims should know about Ramadan? His response was simply, “Ramadan is about making the connection.” Connection to what exactly? God, I had assumed. But it was more than that. This connection he was alluding to can be expounded by asking the following very simple question: Why do we fast? Though I am deliberately not listening to music this month, I could not help but think of the Rolling Stones’ song “You Can't Always Get What You Want.” In that absence, as Mick Jagger sings, “you might find… you get what you need.” Jagger and company were most likely thinking of something else when they wrote this song. The point I am trying to make is that when you are unable to do something, space is opened up for many other things. Hopefully those other things are virtuous deeds and acts! As Ustadh Ubaydullah reminded me, Ramadan is about being and feeling hungry. But what we are really hungry for, what our souls are hungry for, is God. The corporeal can often get in the way, and so that is why in God’s Infinite Wisdom, God commands us to deny ourselves of worldly pleasures for a short time so that we can really listen to what our soul yearns for. To put it in more practical terms, it is as if the hunger pangs I feel throughout the day are an alarm clock that prompt me to say a good word when I might have otherwise wanted to complain. I go through that same internal process when I am tempted to partake in idle chatter or when I hesitate to donate more because of what that would do to my bank balance. By giving up food and drink, I find it much easier to say “No” to some things, but more importantly, “Yes” to others. This is the lesson that Ramadan has taught me. My challenge to you, whether you have been fasting or not, is this: by saying “No” to some things, what instead will you say “Yes” to? 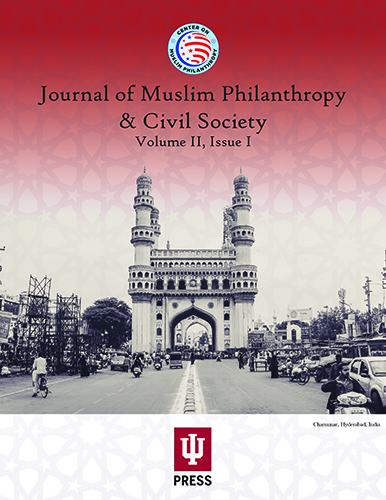 The second issue of The Journal of Muslim Philanthropy & Civil Society (JMPCS) is now available! "The Politics of Philanthropy" by Amy Singer and "Zakat as Practical Theodicy" by Danielle Widmann Abraham are just a few of the intriguing articles curated for this issue. The 2018 Thrivent Faith and Finance Conference brings together some of the leading scholars and thought leaders in major world traditions from a range of academic institutions. The objective of the conference is to encourage a multidisciplinary understanding of the ties among faith, economics and many areas of research. This event will take place July 24 at University of St. Thomas in Minneapolis, MN.